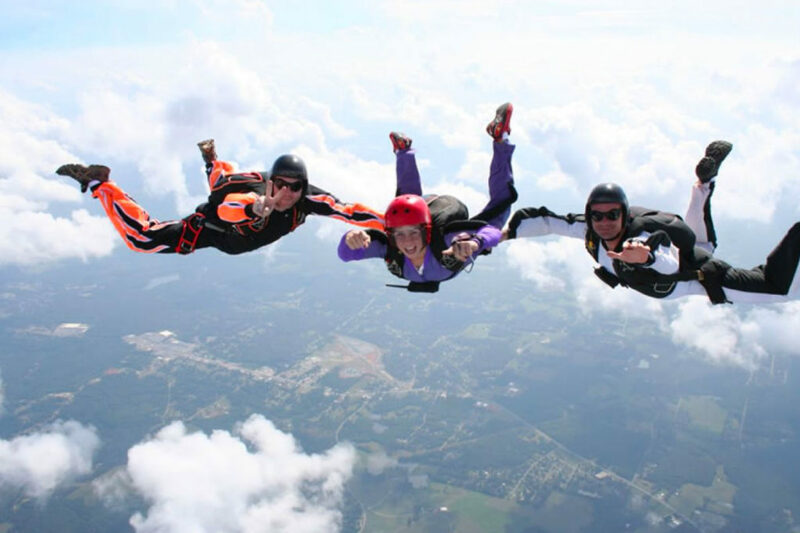 Accelerated Freefall is the name of our training method to teach you to become a safe skydiver that can jump without instructor assistance. 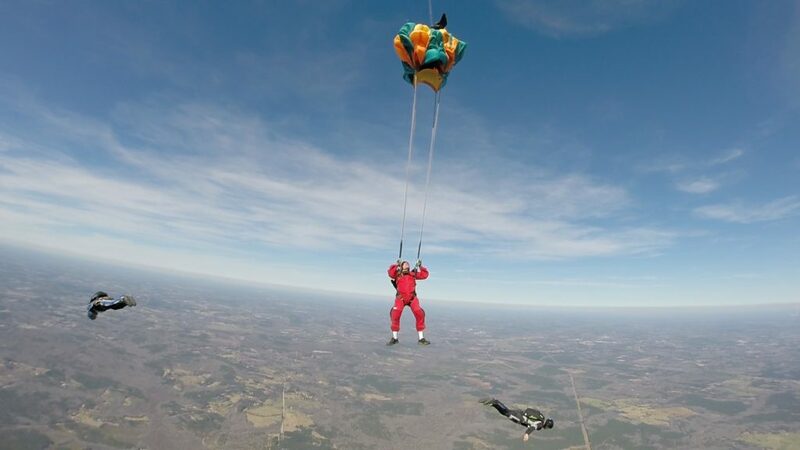 The name Accelerated Freefall, or AFF as we call it, was coined in the early 1980's when the method was developed as an accelerated method of learning over the old Static Line method used since the 1930's. Each jump is made from 14,000 feet above the ground and each has a series of objectives to be completed before moving on to the next level. Objectives are made progressively more difficult throughout the program. AFF can be completed in as little as one long weekend. Once you begin, you must complete one jump every 30 days to remain current. 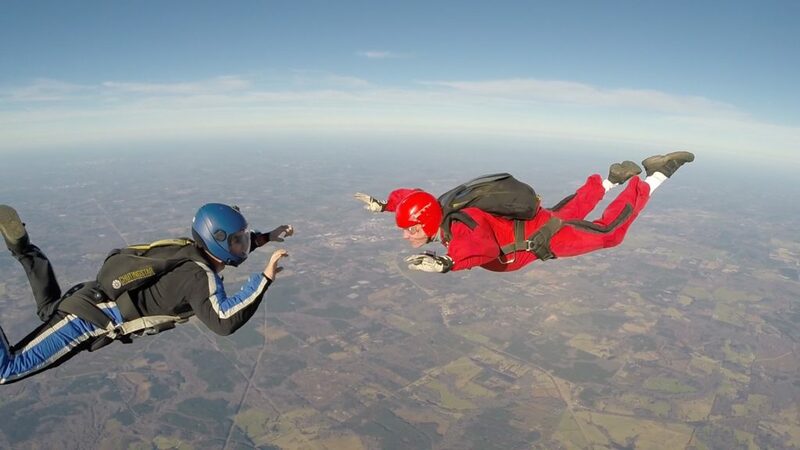 After completion of the AFF program you must complete 1 jump every 30 days to remain current. 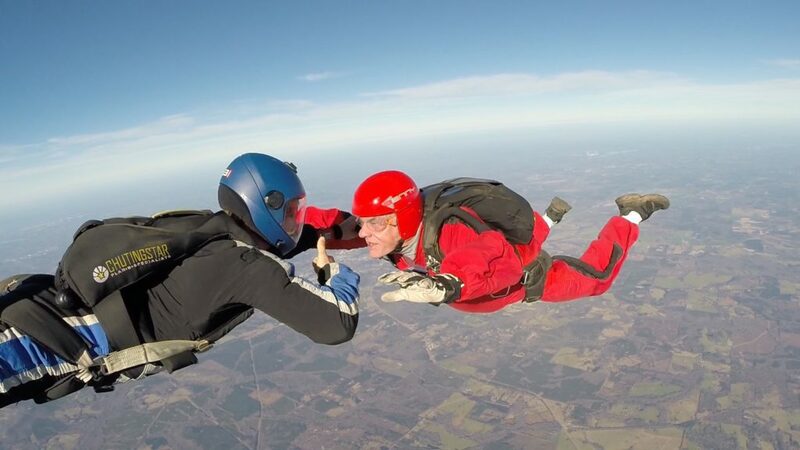 If you go beyond this, you must complete a jump under the supervision of an instructor before jumping solo again. Therefore, most jumpers begin working toward their "A" license. You are eligible after 25 jumps, completion of certain review items, a few jumps with a USPA Coach, and demonstration of 10 landings within 25 meters of a target. An "A" license holder can go 60 days between jumps. 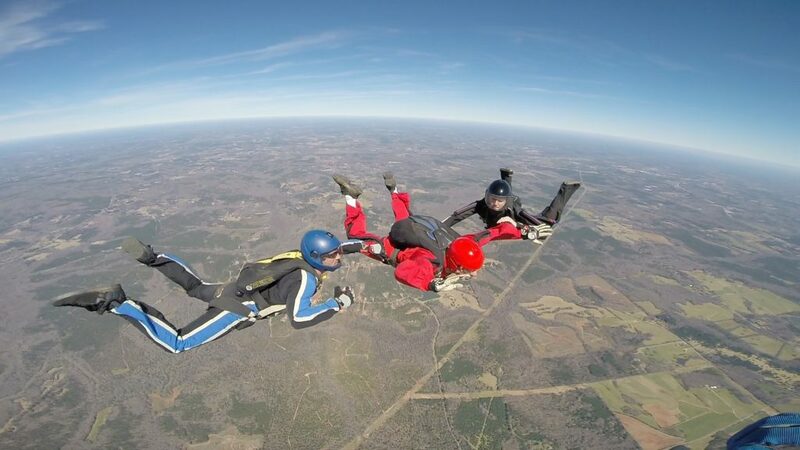 During the ground school you will learn everything you need to safely make a skydive. This includes equipment, how to control your body in freefall, emergency procedures, and parachute control and landing. 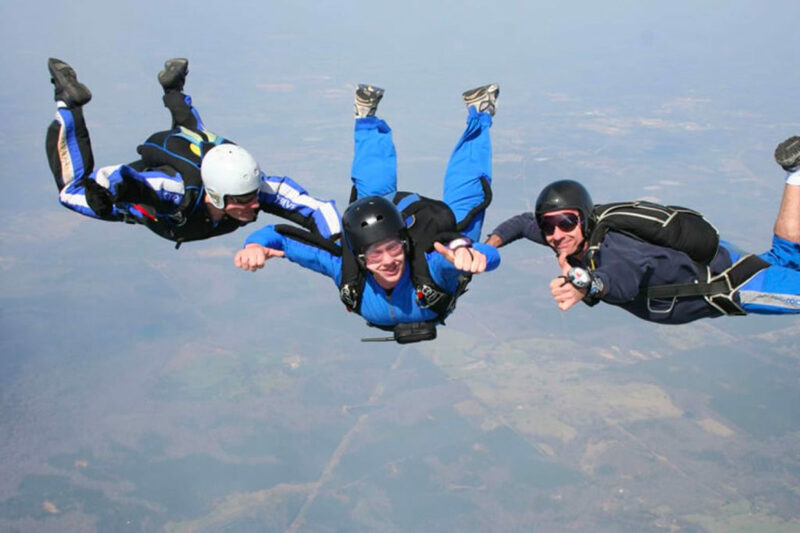 The ground school starts early the morning of your Level 1 skydive and typically lasts around 6 to 8 hours. Once completed, your ground school is current for 6 months in which time you must complete your certification. During Level 1 you will have 2 instructors. Your objectives are to remain stable in freefall, maintain altitude awareness, and open the parachute on time. These objectives are required for all Levels. If you complete all tasks you are cleared for Level 2. On Level 2 you must meet the Level 1 objectives plus you execute 90 degree turns and forward movement. Objectives on Level 3 are the same as Level 1, only the instructors completely release you for the first time. For Level 4 you will only have 1 instructor. You are released, then execute maneuvers as in Level 2. Same as Level 4 only now 360 degree turns. Level 6 you exit the aircraft with no instructor holding on. You perform all maneuvers plus backflips. Level 7 you perform a diving exit and perform all the maneuvers you have learned. In ddition, you execute front flips and fast forward movement. OR VIDEO & PHOTO PACKAGES?